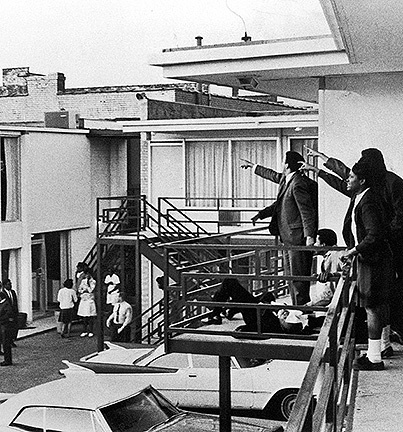 As the 50th anniversary of the April 4 murder of the Rev. Martin Luther King Jr. approaches, the Washington Post published on its front page this week a news report quoting the King Family and other experts as expressing doubt about the official story that the convicted killer acted alone, or even at all, to kill the nation's pre-eminent civil rights leader of modern times. 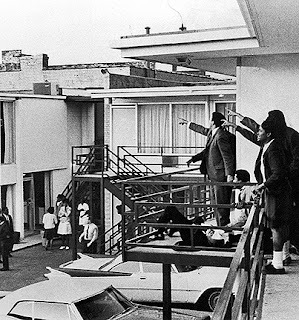 "In the five decades since Martin Luther King Jr. was shot dead by an assassin at age 39, his children have worked tirelessly to preserve his legacy, sometimes with sharply different views on how best to do that. 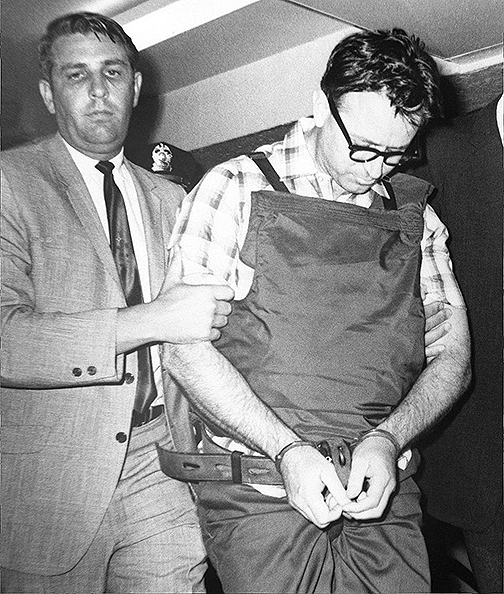 But they are unanimous on one key point: James Earl Ray did not kill Martin Luther King." 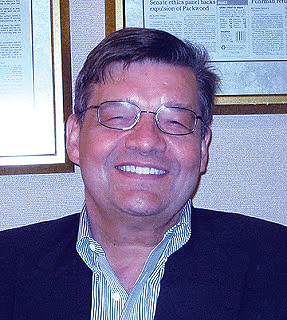 The story represented a major breakthrough in mainstream news coverage, according to King’s friend Dr. William F. Pepper, whom Jackman quoted extensively because of Pepper's decades of work as a street-savvy investigator, an attorney, and a best-selling author seeking to solve the murder. 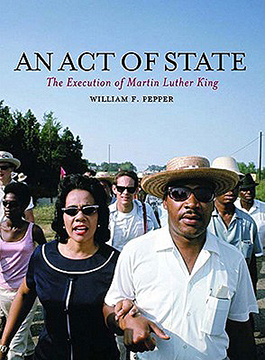 Pepper's 2003 book An Act of State, shown at left and featuring King and his wife Coretta Scott King on the cover, is the second of a trilogy by Pepper documenting evidence that conspirators murdered the civil rights leader to stop his evolving social movement. At the time of the 1968 assassination, that movement was expanding from a largely civil rights movement with roots in the Jim Crow Deep South to nationwide anti-war and economic justice crusade that some believe threatened the nation's power structure, not just bigots. Pepper, also a noted human rights advocate who has taught at Oxford University, worked with King family members who also believe that a plot by power brokers to remove King from the American political scene included a media-assisted frame-up of the accused killer Ray, a petty criminal and eighth-grade dropout who could be vilified as a lone-nut murderer. “The article,” Pepper told the Justice Integrity Project regarding Jackman's Post piece, “is a major breakthrough for the mainstream media, which has refused to cover the truth about the murder of Dr. King." 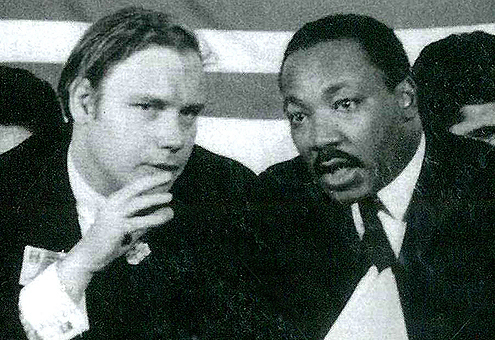 Pepper, a friend also of Kennedy, is shown below with King in a 1967 photo by Ben Fernandez as Pepper and King conferred before King's keynote speech at the National Conference for New Politics in Chicago. King was evolving his message then to a much broader movement than anti-segregation efforts in the South. Pepper was a journalist and political activist in the 1960s and later found himself in the unusual position of becoming convinced that the convicted killers Ray and Sirhan of Pepper's friends King and Kennedy were innocent of their deaths as shown by ballistics evidence.